713 Locksmith Houston offers comprehensive burglary damage repair services to clients in Houston, TX and surrounding communities. Our 24x7 locksmith service can assist clients in a variety of ways that will enhance peace of mind following a break-in. Whether you require all of your locks modified or simply an assessment of potential damage by qualified experts, our fully licensed, bonded, and insured mobile locksmiths can offer assistance. And if you do need your locks changed following a burglary, our expert technicians will strive to offer a prompt speedy response to your request for service. Our company possesses 5+ years experience in this field. We can complete a comprehensive burglary damage repair assessment and correct damage to the locks on your residential or business premises. 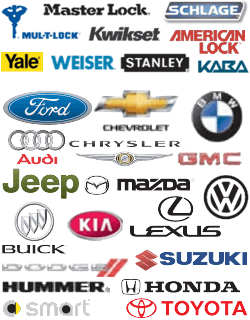 Best of all, we offer fast and friendly, professional assistance, with upfront pricing disclosures supplied to you in advance. Locating a residential or commercial locksmith to perform lock rekey services in Houston, TX and surrounding areas and to undertake the process of making sure that your property obtains some protection against another loss may require you to have all of your locks changed as soon as possible. Circumstances vary, of course, but in general, it remains helpful to retain a complete locksmith service on these occasions. A locksmith can assist you by performing comprehensive burglary damage repair. This process can involve one or more of several measures. A security audit is an extremely valuable service. 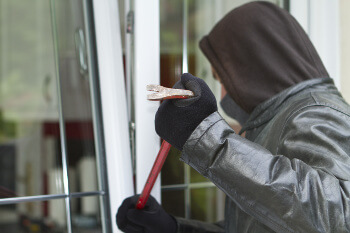 Following a break-in, it helps to known the condition of your business or home security. If you’re lucky enough not to have experienced a break-in, a security audit performed by 713 Locksmith Houston enables us to examine your residential premises’ security. We can then offer suggestions for the best ways to protect your residential or commercial property. Depending on the results of a comprehensive security analysis, a property owner may choose to install additional locks. For instance, internal locks for specific rooms or safety deposit vaults within the interior may provide enhanced security. Sometimes, the perpetrator of a break-in may seek to re-visit the same premises at a later time; upgrading and adding additional locks can provide significant peace of mind to property owners who worry about a repetition of a burglary. By making a break-in more difficult, the property owner can deter thieves. To enhance their peace of mind, property owners may opt to have all of their locks replaced during the aftermath of burglary. Sometimes upgrading to a different type of lock or one better suited to the needs of the property owner offers extra security. Today, many options exist for adding high-tech security locks to residential and commercial properties. These devices typically require the services of a well-informed, technically skilled locksmith. Our company can help property owners enhance their existing security through the addition of upgraded high tech locks to gates, doors, and windows. Sometimes, the only step necessary involves working on a component within a damaged lock. This process may save a property owner money and allows a functional lock to continue providing protection. If a property owner has a completely new lock system installed following a burglary, it may prove advisable to obtain additional copies of the front door key. This step may allow other family members to access the premises, for instance. 713 Locksmith Houston can cut keys very quickly on location. 713 Locksmith Houston has offered burglary damage repair service to people in Houston for many years. With 5+ years experience and an outstanding team of fully licensed, bonded, and insured expert technicians on staff, our mobile locksmiths can assist you during the stressful process of restoring premises following a break in. Our burglary damage repair remains second to none. We provide upfront pricing and fast and friendly professional service. Additionally, as a 24x7 locksmith service with extensive residential locksmith expertise, our service strives to provide a speedy response time to calls in this type of situation. Contacting us to provide burglary damage repair can help restore your peace of mind following a loss. Burglary Damage Repair Services http://713locksmith.com/burglary-damage-repair/ 4.0/5 based upon 25 reviews.